Save the Children releases new report on ending newborn deaths as well as ensuring every baby survives. It is a crucial report which puts the spotlight on maternal and child health picture throughout the world. The report is not only critical of health delivery systems, but offers a way out for governments that have fared badly on the scales as Save the Children reveals that "One Million Babies Die Globally on the First Day of Their Life". The Children's Advocacy group, Save the Children has issued a report that clearly puts the spotlight on why, for example, Africa has scored so badly with specific examples that should guide governments on how best they should go about saving the lives of mothers as well as the newborn on a continent beset by many problems. "The new report, "Ending Newborn Deaths," shows one half of first day deaths around the world could be prevented if the mother and baby had access to free health care and a skilled midwife. The children's aid agency says the deaths happen because of premature birth and complications during birth, such as prolonged labour, pre-eclampsia and infection, which can be avoided if quality health experts are present. The research also found an additional 1.2 million babies are stillborn each year, their heartbeats stopping during labour because of childbirth complications, maternal infections and hypertension. 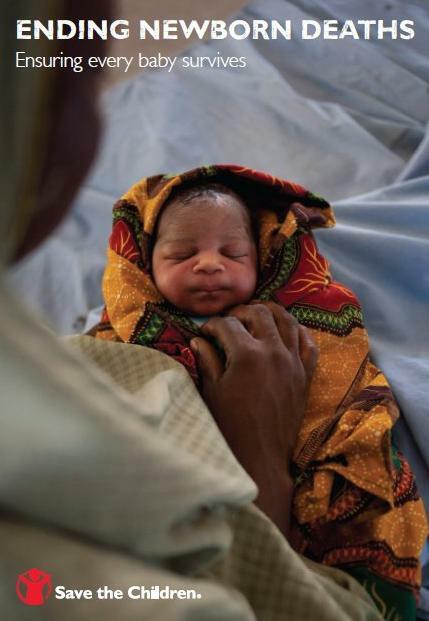 In a bid to save millions of newborn lives, Save the Children has called on world leaders to commit in 2014 to a blueprint for change – The Five Point Newborn Promise – which focuses on training and equipping enough skilled health workers to make sure no baby is born without proper help, and removing fees for all pregnancy and birth services. The world has made amazing progress in reducing child mortality during the past decade – nearly halved from 12 million to 6.6 million – thanks to global political action on immunisation, treatment of pneumonia, diarrhoea, and malaria, family planning and nutrition. But this progress could stall without urgent action to tackle scandalously high numbers of newborns dying. 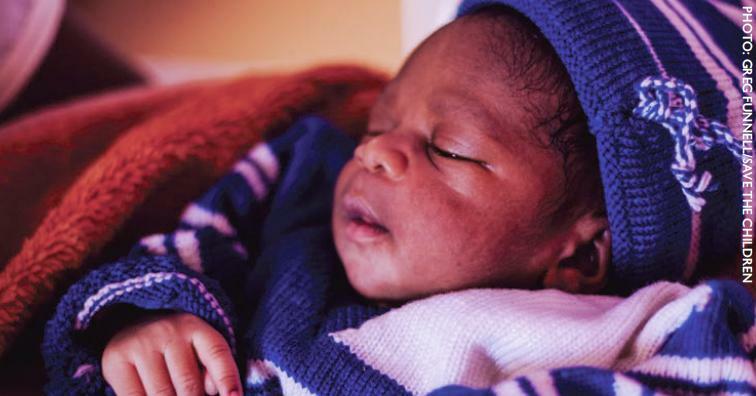 This report warns that newborn deaths now account for nearly half of all under-five deaths. Carolyn Miles, President and CEO of Save the Children, said: "The first day of a child's life is the most dangerous, and too many mothers give birth alone on the floor of their home or in the bush without any life-saving help. We hear horror stories of mothers walking for hours during labour to find trained help, all too often ending in tragedy. "It's criminal that many of these deaths could be averted simply if there was someone on hand to make sure the birth took place safely and who knew what to do in a crisis." Each year, 40 million women give birth without trained help. "In Ethiopia, only 10 percent of births have skilled help whereas in some areas of rural Afghanistan there is just one midwife for 10,000 people. In countries such as the Democratic Republic of Congo (DRC) or the Central African Republic (CAR), some mothers have to pay for emergency maternal care, often costing as much as their monthly food bill. These range from issuing a defining and accountable declaration to end all preventable newborn mortality, saving 2 million newborn lives a year and stopping the 1.2 million stillbirths during labour to paying for the training, equipping and the support of health workers as well as removing user fees for all maternal, newborn and child health services, including emergency obstetric care. As Sierra Leone emerged from civil war, health outcomes were atrocious and coverage of health services was extremely low. In 2008, the neonatal mortality rate was the fourth highest in the world, with 49 babies in every 1,000 dying within their first month of life. That year, just one in four of the poorest mothers had skilled attendance during birth.149 Overcoming such a challenge is not easy. The health system was weak, underfunded and reliant on user fees from the population, which deterred the majority from seeking care. A crucial step towards better maternal and child health outcomes has been the Free Health Care Initiative (FHCI), launched in April 2010 to remove user fees for pregnant and lactating women, and children under five. This was led by the President, Ernest Koroma, who acknowledged the scale of the crisis and thus made maternal and child health a key priority. The FHCI has been implemented with increased public financing and wider system reforms to strengthen the quality of care provided, by increasing the numbers of health workers and improving the drug supply. In 2014, Sierra Leone will finalise and implement its Every Newborn Plan, which must be closely situated within the health sector plan to ensure an integrated approach is taken to scale up coverage of essential services. A focus on newborns, within the consolidation of the FHCI, has huge potential to accelerate progress on child survival in Sierra Leone. We were impressed to hear today's BBC radio report from Freetown, Sierra Leone's capital that things appear to be improving as narrated by the BBC's Umaru Fofana when he visited the Ola During Children's Hospital where mothers says they were not being charged or harassed for fees and other needed support services. We hope that this was not a show for the BBC reporter and that the same could now be said of the many health delivery systems in the country, thereby making it unnecessary for those who have the right connections to fly overseas for care and delivery of their babies. We hope that it was not just a show - given reports that the present Health Minister was rude to medical staff who did not jump up and start cleaning the floor because one Mr Tony Blair was to make a visit and hence the need to give the impression that Connaught Hospital has always been spick and span as you would find in any hospital in the so-called developed countries. So why should the Health Minister get so jittery because of the Tony Blair visit? If she wants to be believed that she is on top of her job, she has the right to take upon herself spot visits, unannounced to see the situation for herself and thus would get a true picture of what obtains. But back to the Ola During Hospital - this was the observation contained in the recent Audit Report and we do hope that all the points raised have been addressed. The following were observed:  Due to the presence of the Free Health Care Programme, the wards were congested;  There were instances where more than two patients of diverse diseases were clustered on a single bed;  There was a serious shortage of medical doctors at the Hospital;  There were only three doctors attending to an overwhelming number of patients;  Interviews with key personnel revealed that doctors were usually not on duty at night; and  Several patients of diverse ailments were using one oxygen cylinder at the same time.